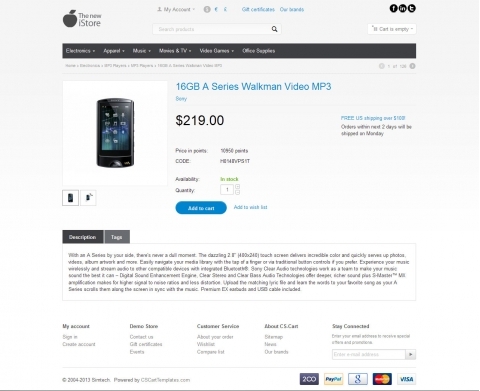 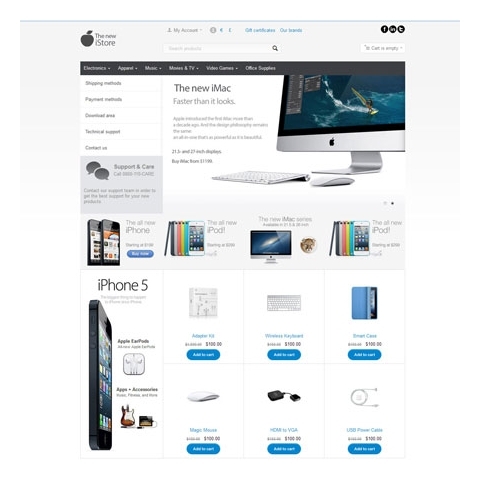 The iStore Theme is yet another simplistic and clean design for a multi-purpose store. 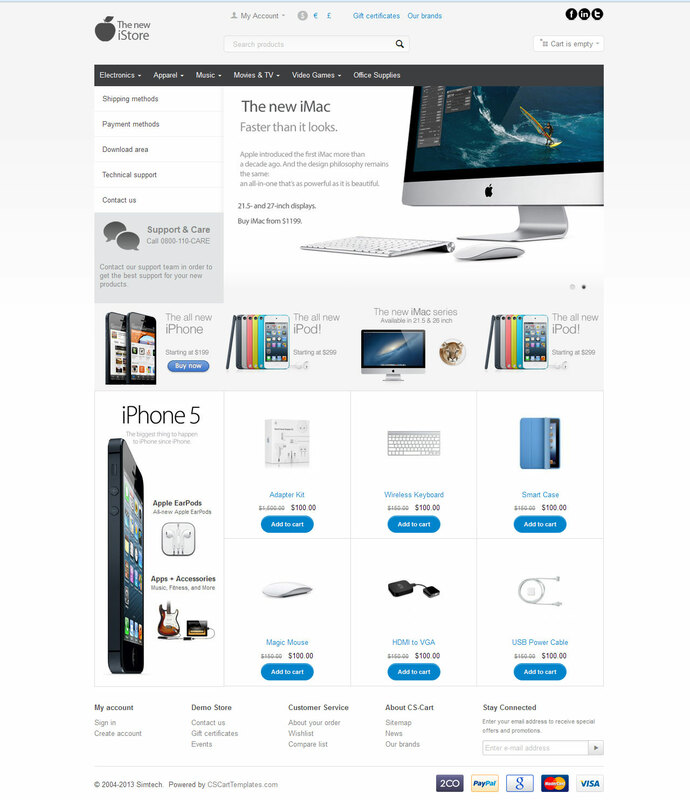 Inspired by Apple's philosophy in it's colos and buttons it serves as a multi-purpose template for every electronics store. Most of our clients using this theme find that it best suits computer stores, mobile phone shops and tech products. 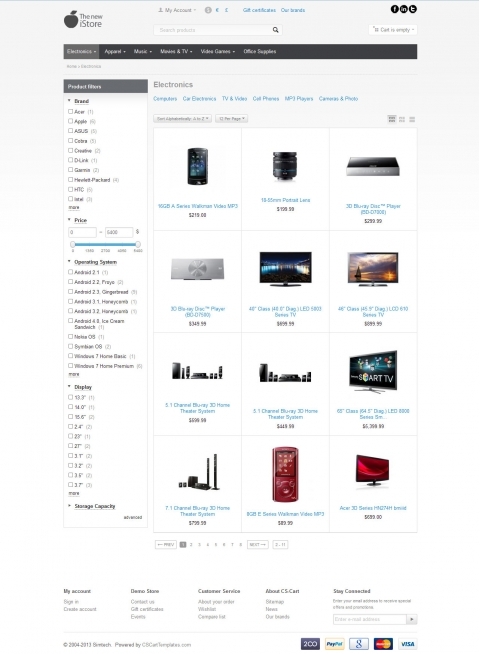 With loads of banner spaces (slideshow, 4 mini banners and a left column banner) it gives you the ability to advertise and promote your top selling products or categories. Additionally on the left side of the homepage we have created a text banner for your support line as well as an extra left side vertical menu that you can use to populate with helpful links.